Youth sports can have many benefits for young people. Some include learning the sport they play, understanding what it takes to compete and the enjoyment of being part of a team. Playing sports also teaches youngsters about responsibility and being part of a team -- the importance of teamwork. Since participating in youth sports is a privilege, children have to earn that right by performing well in school. Students are often required to maintain a specific average by their teachers in order to become eligible to play. If students want to get on the field, the court or the ice, they have to earn that privilege by performing well in the classroom. Playing sports serves as motivation for doing well in the classroom. By concentrating their efforts on becoming eligible to play by doing well in class, students learn to focus their mind on the subject matter. This allows them to learn more than if they did not have such motivation, and helps them to get the most out of time spent in class and studying. 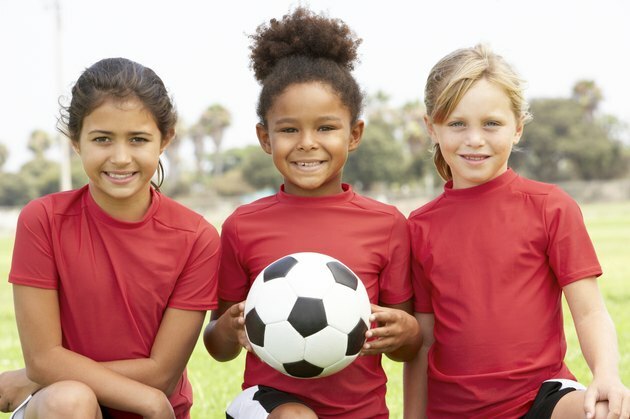 Playing sports often boosts a youngster's sense of self-worth because she is surrounded by teammates who may become friends. The increased social status often results in an improved attitude that often translates into the child becoming more enthusiastic toward a variety of activities — including academic pursuits. According to researchers at Michigan State University's Institute for the Study of Youth Sports, young people who play sports perform better in school than those who don't. One of the top benefits of participating in sports is that athletes who perform well in their chosen field and meet their academic responsibilities may be able to win a scholarship. While the scholarship may be based on their success in sports, it gives young people the chance to gain an education that they might not otherwise be able to afford. While the educational and athletic system can work extremely well to help young people develop athletically, academically, socially and morally, the system can be corrupted by teachers and coaches who use the system for their own purposes. For example, a star running back might not be able to play because he is not performing up to standard in the classroom. If his coach attempts to pressure the teacher, or if the teacher gives the student a "break" and lets him play even though his academic performance is substandard, the system is defeated. Instead of learning about time management and work ethic, the student learns that those with power and influence can get what they want even if they didn't earn the privilege.